The best days lay ahead for Alice Kraus when her new groom, Ed Kraus, shot this color photograph on the first day of their honeymoon in July 1957. 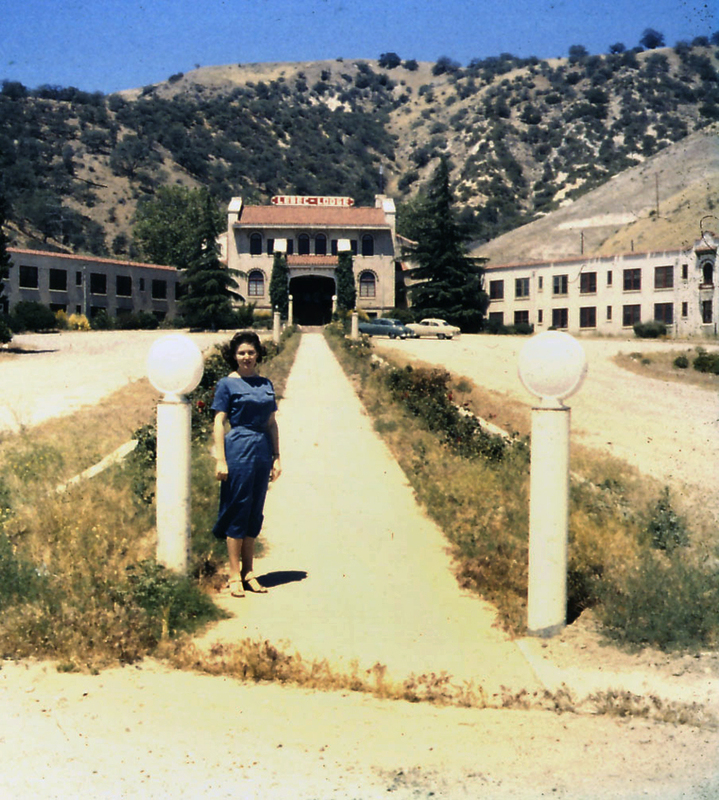 Alas, the same can't be said of Hotel Lebec, or as it's called here, Lebec Lodge. Contributor Ron Kraus says his uncle Ed told him the hotel was in a "pretty run down condition" and described the desk clerk as "really odd." "Despite the inauspicious start to their marriage, my Uncle Ed and Aunt Alice have been married for 55 years now," Ron Kraus writes in 2012.